I had a Nasi Lemak session with a British friend of mine who is running one local organisation. He owed me the treat due to a little favour in the past. 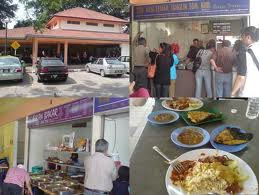 I noticed that there were few surprised faces at Tanglin Nasi Lemak as a Mat Salleh was enjoying his spicy Nasi Lemak. I told him that understanding the local cuisine will help him to understand our local culture. He did not complaint. One issue that he raised though was the number of holidays that we celebrate in this multi-racial country. Maybe for those who came from Europe, Malaysia seems to be a more relax country if our holidays are considered. We are going to celebrate Deepavali tomorrow, Awal Muharram on Thursday and off course December is normally a casual month as many people will be on holidays until next year. Than as we start to build momentum in the new year, Chinese New Year will be celebrated. As a baseline, Malaysia is well ahead of many other countries in celebrating celebrations, something that many of us will not complaint especially we are not responsible for the salary of our staff. If we have been doing this for the past 55 years, at least, why are we still struggling when it comes to respecting others who are from different races, religions and nationalities? While on TV it seems fine, I am sure we are aware of the reality on the ground. Personally, I feel that this is becoming a more complicated issue lately. I was fine with all my friends when I was small. 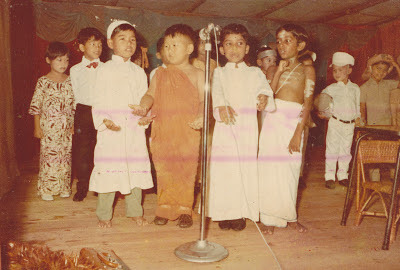 May be, because I went to a Convent kindergarten, may exposure to the real world was early enough in my life to provide me with the openness in respecting diversity. However, Malaysians are very united when it comes to food. We love our food and we don't have problems in mixing recipes as long as the fusion tastes great. If this were to be transported to other aspects of our lives, I am sure the fusion Malaysians will be as interesting as well. Maybe when we enjoy the food served during the festivities which we will celebrate this week, we could start this new paradigm in thinking, if we are not there already. This does not mean we will compromise the principles of our beliefs, which will remain with us as individuals. Respecting others rights does not necessarily mean that we agree with the beliefs of those with the rights. After all, these festivities which we will celebrate originate from these beliefs anyway. Happy Deepavali and Happy New Hijrah Year!